We have talked about news sites apps and we have talked about apps that get the creative thinking going. 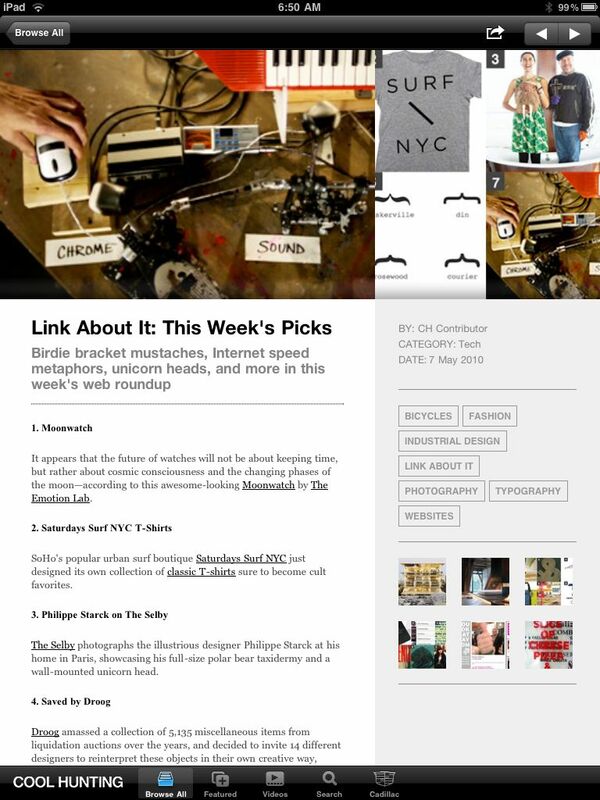 CoolHunting has been a site that is fun to visit from time to time to see what is ‘news’ in design. We’re not talking about high fashion, rather what is fun in designs all around us. For many of us, it’s the site to browse through with your morning coffee. As you would imagine, we mention it here because there is an app for that… for the iPad. 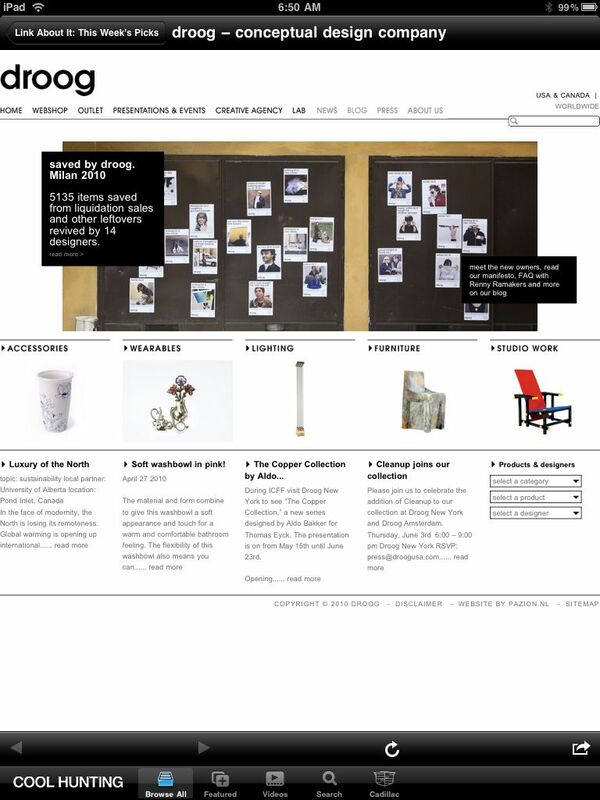 It carries all of the info and brings in the content and images you expect from the site but in a iPad tuned layout. Which, really seems to favor this type of site/service. 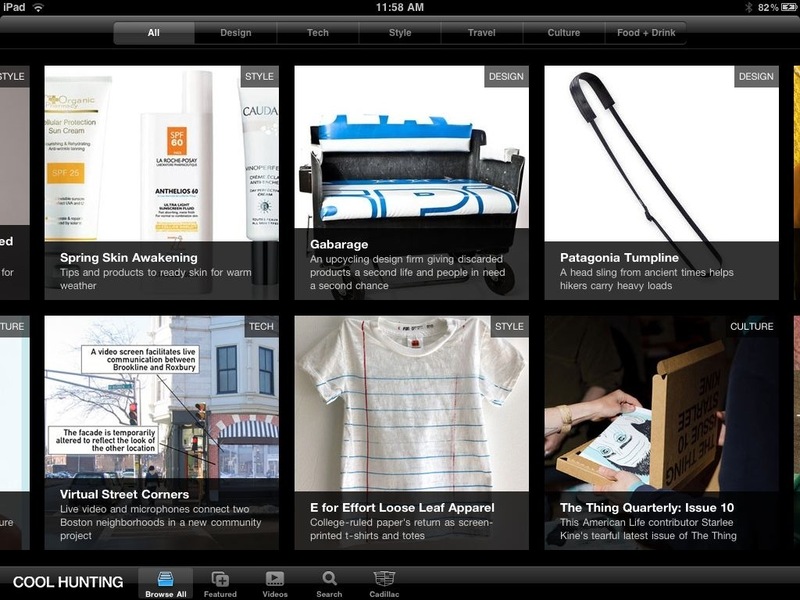 Like the Web site, the CoolHunting iPad app is free. Choosing a article opens a browser view within the app in a iPad tuned view. You can use all the next/back and shortcuts staying in the app while you read. From the article view, you can share out via email, Twitter and Facebook. From the articles, you can use their links to go to the site or service that Cool Hunting has written about. The site your visiting continues to stay within the app so going back to their list of articles is easy. Not need to jump between the app and the Built-In Safari. If you do wish to view in Safari though, they provide a button to ‘Open in Safari’.